NASA will create a bright artificial white cloud. A rocket mission is designed to form an artificial cloud that will shine in the night sky to study events in the upper atmosphere that disrupt communication and technology systems. This cloud will be seen by residents of the Marshall Islands for two rocket flights between August 29 and September 9. The Waves and Instabilities of a Neutral Dynamo (WINDY) mission will study the phenomenon of the ionosphere or charged particle layer in the upper atmosphere where the equatorial spread of F (ESF) occurs after sunset near the equator known as F region. These events disrupt radio communications, navigation systems, imagery and pose a danger to technology and society. 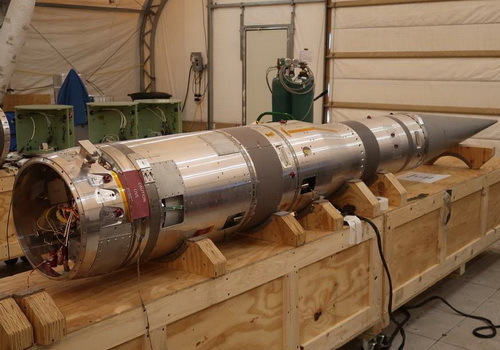 The WINDY mission consists of two suborbital rockets that will be launched almost simultaneously between 8 pm and 11 pm local time on Roi-Namur island. The Kwajalein atoll in the Marshall Islands is near the magnetic equator, where post-sunset ionosphere storms are more intense. NASA said a rocket would carry a tri-methyl aluminum (TMA) substance that would form white clouds and glow in the night sky for about 30 minutes. Scientists on the ground monitor the movement of these clouds to measure wind and energetic particles moving in the upper atmosphere. The second stage will release TMA and lithium simultaneously. The release of lithium vapor is not visible to the naked eye but can be seen using a special camera. Both substances are harmless to the inhabitants of the Earth's surface when released at altitude. Clouds move with the wind in the atmosphere to determine the speed and direction of the wind above the storm area of the ionosphere. TMA reacts spontaneously when in contact with oxygen and produces pale white light. The second rocket will be launched five minutes after the first rocket and carries instruments to measure the density of the ionosphere, electric and magnetic fields that appear in the storm. The ionosphere is the earth's atmosphere layer ionized by solar and cosmic radiation, releasing electrons from atoms and molecules, then creating temporary charged particles.